This 180-acre park is for day use only. Activities include swimming, beachcombing, nature study, hiking and both freshwater and saltwater fishing. Visit the park and rent a kayak to explore Lake Powell. The Friends of Camp Helen State Park invite you to a guided history tour. Come learn the history of this beautiful park. Guided tours begin at the Visitor’s Center on the first Saturday of each month. The tour is free with $4 per car entrance fee into the park. For information call 850 233-5059 or visit our website Friends of Camp Helen ! 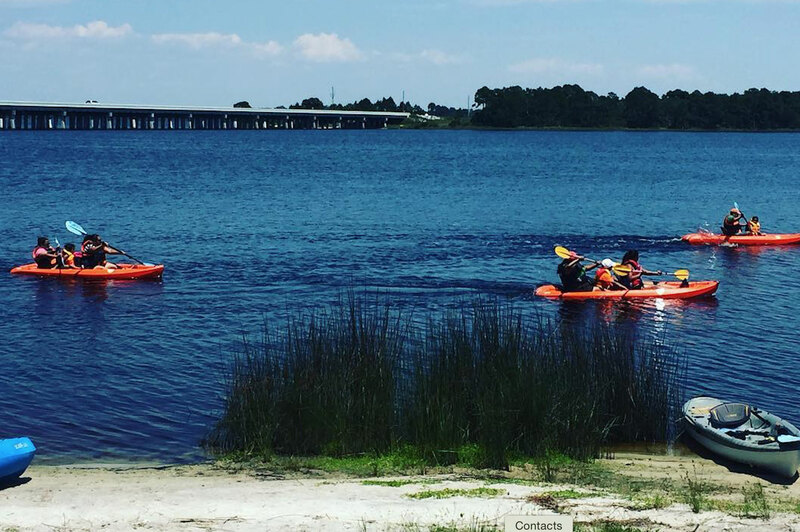 Camp Helen State Park offers a summer full of movies, food, and fun with a series of family-oriented movies, environmental interpretive programs, and old-fashioned campfire cookouts. Entrance into the park for the concerts is free. 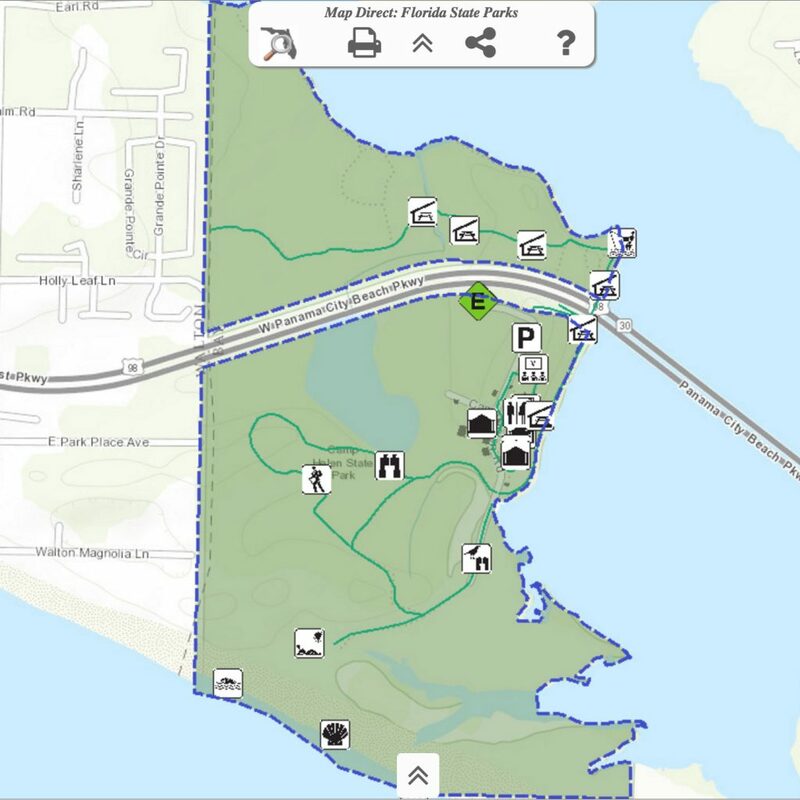 Camp Helen State Park is at 23937 Panama City Beach Parkway (Highway 98 near Lake Powell). The Friends of Camp Helen will accept donations all of which will be used to benefit the park. For more information, call (850) 233-5059. The 2016 Concert series ended in March 2016. Stay tuned for information on the upcoming Winter 2017 Series.